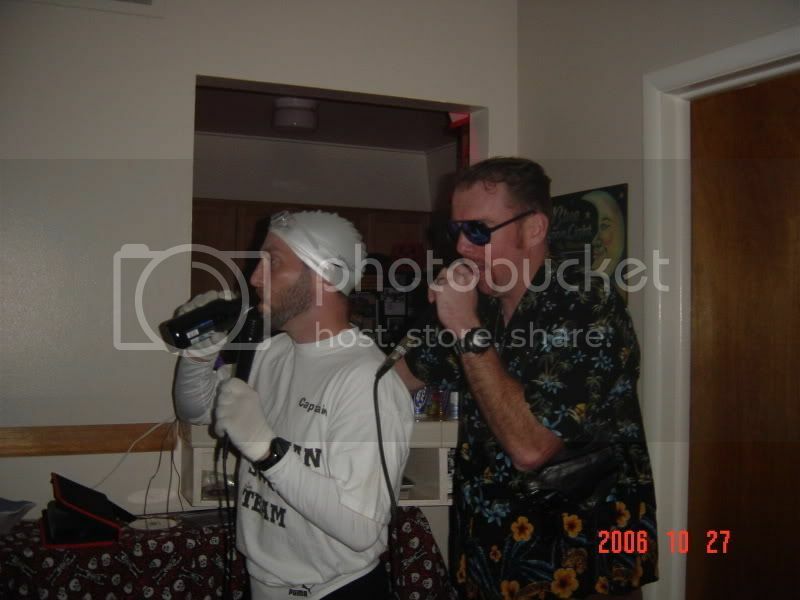 Well here are some photos from the Shifley's Halloween Extravaganza. I should have some more later, but the photos are still trickling in. It was a great night, and I hope everyone has a great Halloween. 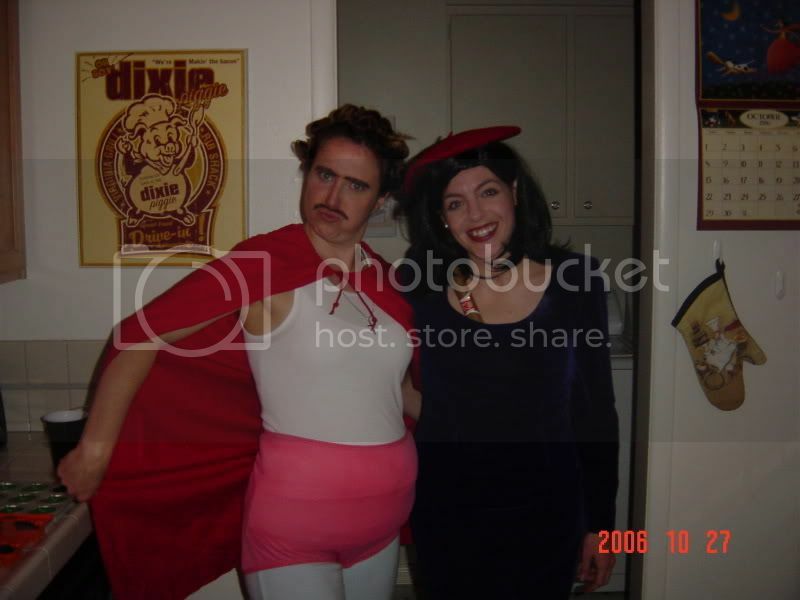 Nacho Libre and Mrs. Shife, who is Monica Lewinsky. Mrs. Shife and Mr. Shife, who was Captain of the Fallopian Swim Team. And here is the other side of my costume. Yes, indeed, I wore a Speedo thong. Taking a little drinky while I am rocking the mic with a buddy. And this is, in my opinion, the best picture of the night. 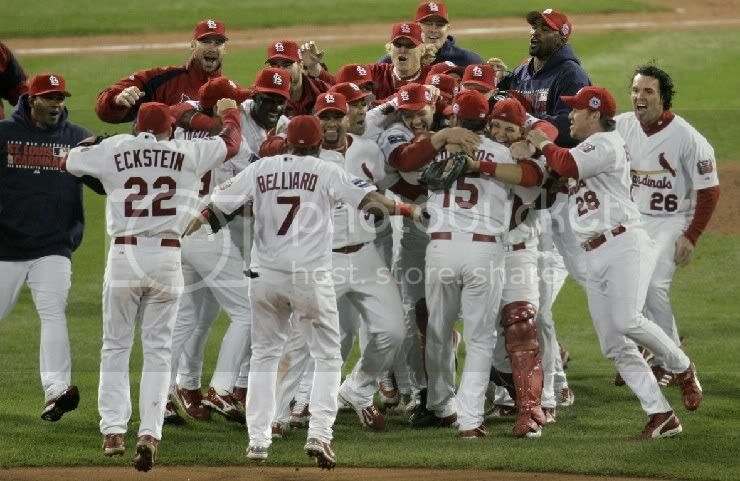 The St. Louis Cardinals celebrating their World Series Championship. 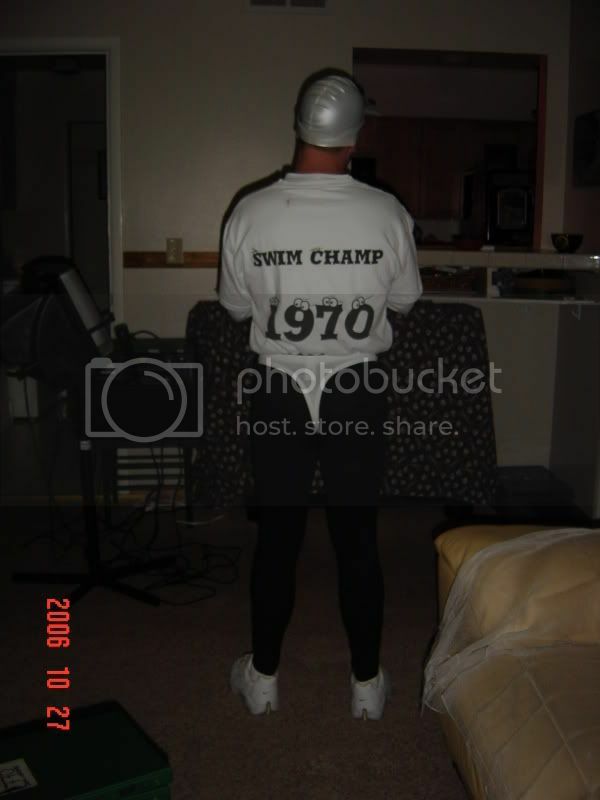 I was on the diving team. We didn't wear thongs. I knew I should have been a swimmer. More pregnancies would occur if those swimmers wore thongs. Nicely done Shife. That is a pretty clever costume. LMAO at your costume!!! You're a genius. Love the thong! My only joy this Halloween was walking into my state office wearing my V for Vendetta mask again. 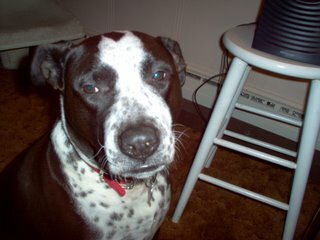 It still rewards me with looks of puzzlement. OH MY GOD nice costume that is awesome. Looks like you had a lot of fun, and we won't be asking your wife for her dress. please put the thong away until next year. cool, the fallopian swim team. My Halloween was spent sick in bed for the 3rd day. Didn't really appreciate that trick! what a great costume!! lol Oh and yes Go Cards!!! Is it weird I almost started crying when they won?